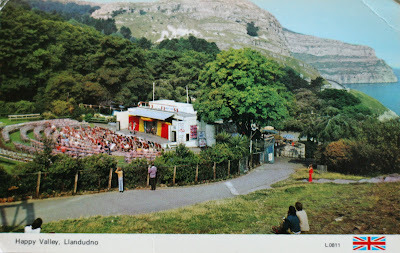 A new blog post from Carneades has reminded me of one of my favourite bugbears in Llandudno - the fact that the Open Air Theatre in Happy Valley was not replaced as part of the Heritage Lottery funded renovations about 10 years ago. The Theatre had been entertaining the Summer visitors since the very inception of Llandudno as a seaside resort back in the 1860s, yet that proud tradition all came to an end in 1985, when Alex Munro became ill and the theatre was forced to close, eventually being damaged by fire in October 1987. Yet, when the work was carried out, no stage materialised, just a rather odd looking semi-circular tarmaced area that has never been used for anything but the siting of a small childrens roundabout. Indeed, quite a bit of work went into removing every trace of the old Theatre, even to the extent of regrading the land levels completely to remove the terraced seating areas. Of course, Happy Valley retains the natural beauty that has made it a favourite spot for visitors since those early days, but it has to be said that it feels a little lifeless now, even at the peak of the Summer season. 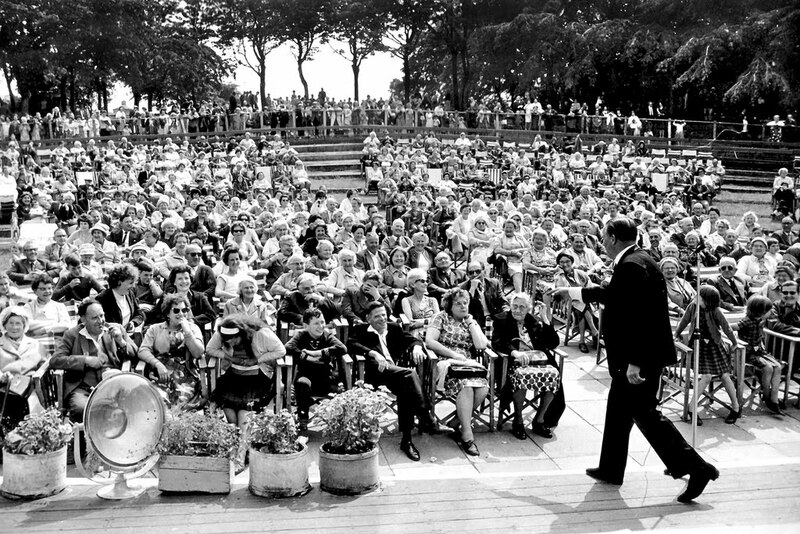 Imagine how much better it would be with some live entertainment, be it the Llandudno Town Band, Local Amateur Musical Groups like the Trinity Players or Llandudno Musical Productions, maybe a Buskers' Stage...or even the revival of the Talent Competition. so beloved of Alex Munro. With the current enthusiasm for Talent Shows on tv, you'd have thought it would be a winner? You'd have thought this sort of thing could be organised by Llandudno Town Council but, apparently, having endless meetings is all they are capable of doing. Maybe a new Friends of Happy Valley could get stuck into pressing for the construction of a new stage area and organising a few shows...? Just rip-out that roundabout, and you have an ideal area for a small stage.